1. What filtering can and can’t do. In most cities, the majority of homes that are affordable to people of modest or low incomes don’t receive special affordability subsidies—they’re just cheap market-rate housing. But since very little housing is built for people of below-average income, how does it get that way? The answer is “filtering”: the process of housing becoming cheaper, and occupied by lower-income people, as it ages. We look at a groundbreaking study on exactly how filtering happens to shed more light on the issue. Rental housing filters much more quickly than owner-occupied, and both only “filter down” (become cheaper) for the first half century or so of their existence. Most importantly, in regions where housing prices are rapidly rising—including much of the East and West Coasts—the filtering process is held back, eliminating a major source of “naturally occurring” affordable housing. 2. A helicopter drop for the asphalt socialists. A popular idea to stimulate the economy among macro economists is a “helicopter drop”: simply crediting every American with a certain amount of extra money in their bank account. Not surprisingly, this has not caught on with politicians—especially the advocates of free markets and personal responsibility in Congress. But now, those same legislators have passed just such a helicopter drop for drivers, bailing out the Highway Trust Fund with money from the Federal Reserve to avoid raising gas taxes, or any other funds that would cause drivers to pay something closer to the actual cost of using public roads. It’s long past time to drop the charade that our transportation system is anything like a free marketplace, and recognize that when it comes to driving, we’re governed by asphalt socialists. 3. 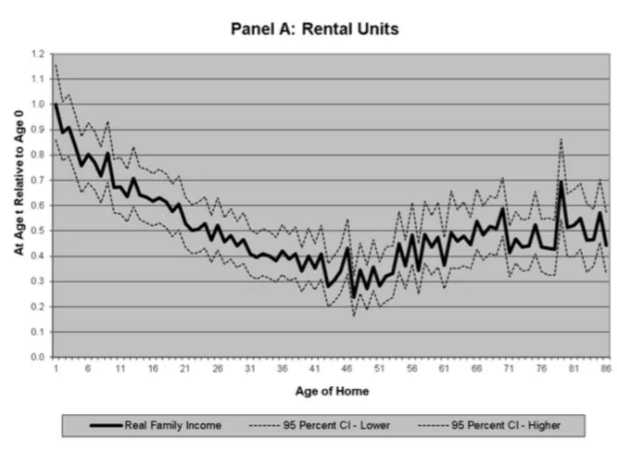 Journalists should be wary of “median rent” reports. Some real estate outlets have received media coverage recently for reporting median rents in cities across the country based on their listings. But these reports are often extremely unreliable. We look at one of the more prominent outlets, Zumper, and its “National Rent Reports” to see if the numbers hold up—and they don’t. Instead, because Zumper’s listings are heavily concentrated in high-end neighborhoods, its reports likely significantly overestimate true median rents. Rising housing costs are an important story, and should be covered—but they’re also worth getting right. 4. The Atlantic published another City Observatory piece this week. Under the headline “Are Food Deserts to Blame for America’s Poor Eating Habits?”, Joe Cortright explores recent research about to what extent breaking up “food deserts”—pockets of urban neighborhoods without full-service grocery stores—leads to healthier food consumption in those neighborhoods. 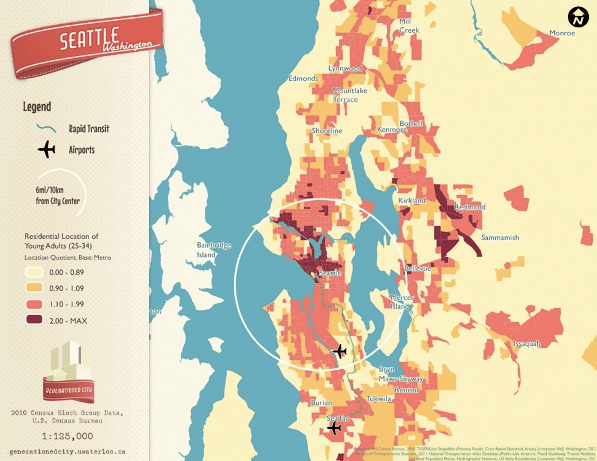 The evidence suggests that low incomes are a much bigger impediment than “food deserts,” perhaps because neighborhoods can be considered “deserts” if there are no grocery stores within as little as a mile or half-mile radius. 1. In tony Park Slope, Brooklyn, eight cyclists were cited between 2008 and 2011 for riding on the sidewalk. In Bedford-Stuyvesant, a poorer, blacker neighborhood nearby, that figure was over 2,000. The New Yorker explores the extremely uneven application of “quality-of-life” policing more than three decades after the introduction of the extremely influential “broken windows” theory of crime, which suggested that tolerance for low-level infractions emboldened criminals to commit more serious, and violent, offenses. Despite the fact that some of the country’s most respected researchers have failed to find any evidence that this theory is true, it remains conventional wisdom in many police departments. 2. While we criticized Congress this week for continuing to shield drivers from the true price of using the road, Washington, DC, is making progress on that front.Greater Greater Washington reports on a new initiative there to change parking prices by location and time—raising them in places where parking is in high demand, and lowering them where it’s not. The idea is that by allowing parking prices to respond to demand, higher prices will keep people from occupying spaces on very busy streets for too long, making sure that newcomers have somewhere to park. On the flip side, reducing prices will encourage people to go where there are many open spaces. 3. A reminder that making progress on integration and affordable housing goes beyond passing laws: Chicago’s WBEZ investigates the Housing Appeals Boardcreated by Illinois’ Housing Planning and Appeal Act of 2003, and finds that it has yet to hear a single case. The state law was meant to be a potential override to exclusionary local zoning laws, allowing the state to override municipalities that rejected affordable housing developments. But although many municipalities remain below the 10 percent affordability threshold established by the state, home rule exceptions, and a general lack of faith in the board’s ability to enforce its decisions, have rendered it essentially defunct before it could even begin. 1. Via CityLab, the California Department of Transportation officially cited a UC-Davis policy brief concluding that “induced demand” is real: that is, building more highways and roads causes more people to drive. According to the brief, “a capacity expansion of 10 percent is likely to increase [vehicle miles traveled] by 3 to 6 percent in the short run and 6 to 10 percent in the long run.” Importantly, this doesn’t just mean that the expanded roads see more driving because people shift there from other routes: the total amount of driving in the whole system increases. 2. At Planetizen, Jennifer Evans-Cowley writes about research on the use of helmets by bike share cyclists. 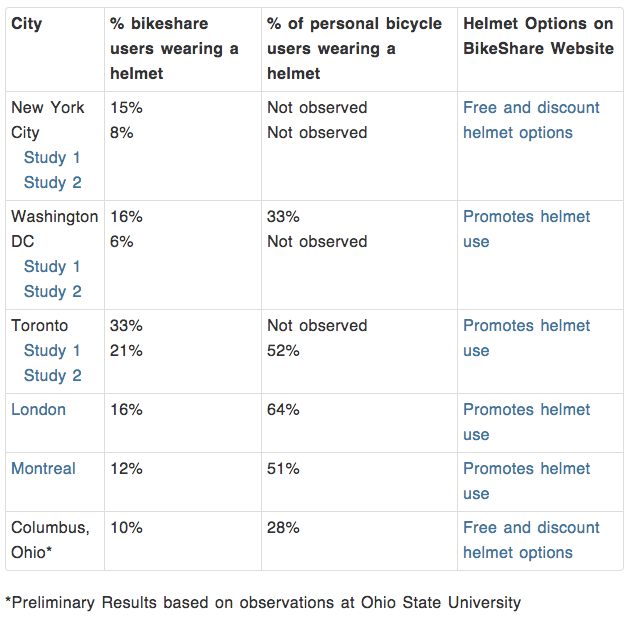 In general, bike share cyclists use helmets less often than other cyclists, though there’s lots of variation by place and demographics. And while the proportion of bicyclist injuries that are head injuries increased in five cities that introduced bike share systems, the total number of head injuries (and total injuries) decreased, probably because of some combination of the “safety in numbers” effect and improved bicycling infrastructure. 3. Nick Revington of the University of Waterloo writes about the “youthification” of North American urban centers, showing how people between the ages of 25 and 34 are increasingly likely to live in relatively high-density urban neighborhoods, even as the home locations of older cohorts become increasingly correlated with lower density. This sort of “age segregation” is becoming more pronounced in many metropolitan areas, with potentially important implications for planning—both in how to accommodate young people in city centers, as well as how to accommodate older people in currently low-density, auto-oriented communities. 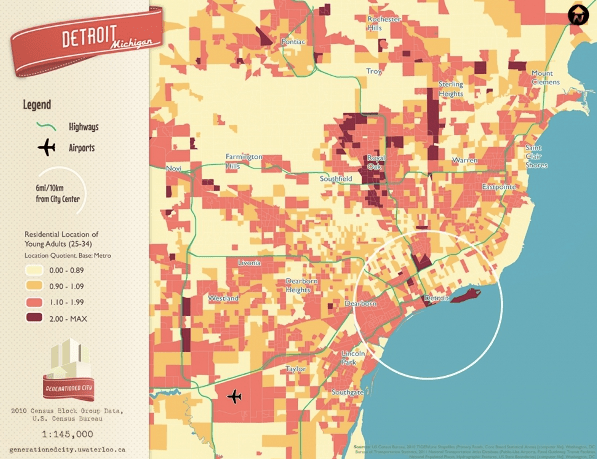 (You may also be interested in reading a City Observatory take on this phenomenon, “Young and Restless.”) Below: maps showing the concentration of young people in Seattle, and the relative lack of young people in central Detroit, one of the few cities to buck the trend (as of 2010).